It feels like different season now compared to last month in many ways. The situation is getting better in Tokyo and it is spring in any case. Let's keep our chin up! Anyway, I truly love all four seasons, but I find the arrival of spring the most exciting time! I feel it especially in April because in Japan, spring time and new FY comes at the same time! How would April feel to you in your country? Is it also exciting? Well, Nha's Banh Chung might also get you excited and so is Nunzia's Neapolitan Christmas dessert...,mmm looks yummy! 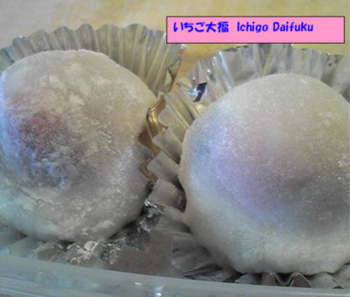 Here, it is fabulous strawberry season at the moment and it means time for Ichigo daifuku -strawberry rice cakes with sweet bean paste. What's better, it's easy to make! So today, I will write about a seminar on Dance from our short term invitation program. The Japan Foundation invited Mr. Kenneth THARP (Chief Executive, The Place) in February for about two weeks, in order for him to have a opportunity to gain greater insight and understanding of Japanese life and culture in a broader sense, and to have the chance of dialogue and exchange with people relevant to his field of dance here in Japan. 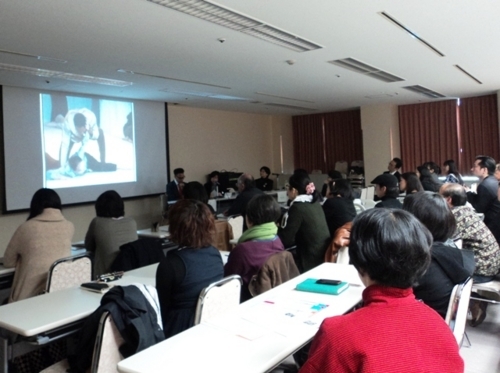 We organized two seminars in Tokyo and in Kobe. Tokyo Seminar in Aoyama "kodomo no shiro" on February 27th. Moderated by Ms.Naomi INATA, a Dance Critic. In the lecture, he introduced the works produced by the Place, leading figures of the organizations, as well as strategy to present promising performance with at price, to increase loyal audience and supporters and to approach people with less access to dance. In the Q&A session, one of the audience asked "what would I need to work in dance or performing arts field?," and many audience nodded deeply to his answer; "There are a lot you can learn, but maybe one thing you should know is that you are not going to be rich, but will be working so many hours everyday in any case!" Yes it is true, it's not easy, but he also gave us some of the "positive proof" that the future of the dance world is not that bad at all. 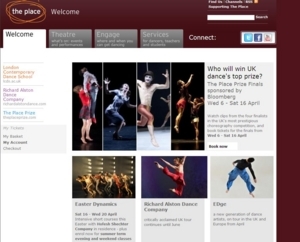 Some research says dance is doing well in number of audience compared to other performing arts in London, other says dance is the second most popular subject in P.E. in schools second to football, and another one says there are more TV programs on dance these days. These stats and proofs are the key to strategic administration, he says. Well, I saw a glimpse of the myth behind the scene! 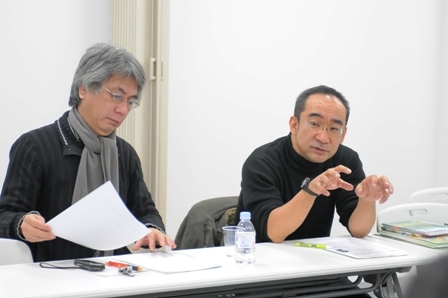 With some additional information comparing the situation in two counties by Inada san, I think we had good time to get together and think back our situation here in Japan. 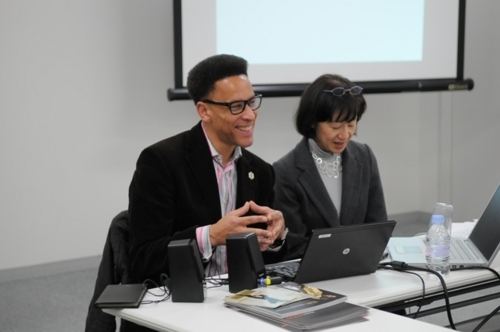 This time it was moderated by Mr. Norikazu SATO, executive director of the Japan Contemporary Dance Network (JCDN) and Mr. OTANI, executive director of NPO DANCE BOX. After brief introduction of the dance scene of UK by Sato san, we talked about dance again in Kobe. This time it was more cozy atmosphere with many audiences - students, researcher of dance, artists, dancers, critics and organizer of dance info web etc. In Kobe the audience was especially interested in their online resource of jobs and auditions for professional dancers "JUICE", and the program to teach science by dance "Learn Physical". When we think about improving the situation in a big picture, it sometime looks impossible, or too far way to go, but as listening to the lectures, it felt that we could break down the problem and try something one by one. Maybe the important lesson was to be positive, confident and to keep trying! So next is Hana's turn, but she is away from Japan for a while, so I pass this to Nunzia from Rome!